﻿If anything sums up the way Eurocab carries out its business, it is the short statement above. 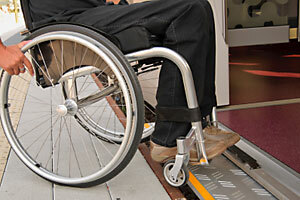 As a family-run business that specialises in providing transport for wheelchair users and passengers with disabilities, many of our customers rely upon Eurocab to help them make regular journeys and carry out their everyday tasks. Every passenger we transport is giving us an opportunity - and we are committed to making the most of that opportunity by delivering a caring, courteous, reliable and safe service. ﻿At Eurocab 2000, we believe every customer is special and we aim to recognise each individual’s needs in terms of safety, comfort and reassurance. It is our goal to deliver the highest quality service each and every time and to exceed the expectations of our customers. 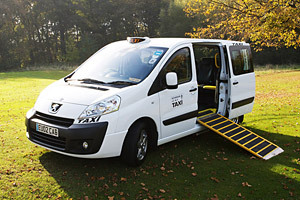 ﻿We have a fleet of 5, 6 and 7 seater vehicles which are all wheelchair accessible and adapted to comply with local authority guidelines and safety regulations. Eurocab works closely with local health authorities, council departments, schools, colleges, nursing homes, day care centres and other specialist organisations as a trusted specialist supplier. We also provide a high quality transport service to the general public. From weddings and parties, doctors’/hospital appointments, shopping and theatre trips, coastal runs, airport journeys, or even just a great night out, we’ll get you there on time in safety and comfort.